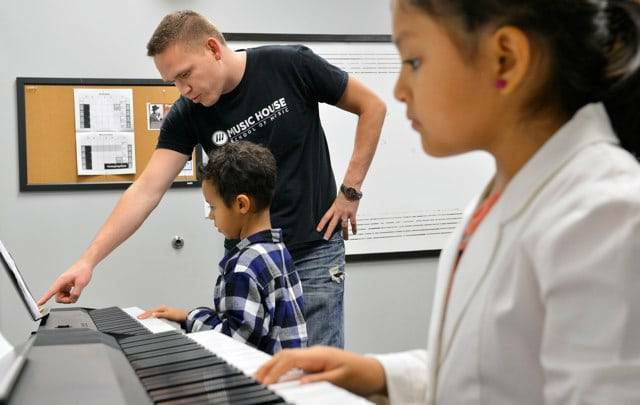 Music House | What's the Right Age to Start Music Lessons? What's the Right Age to Start Music Lessons? 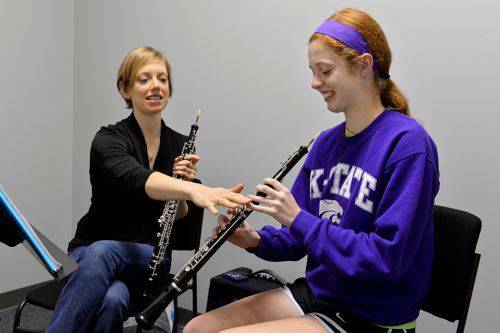 The first steps into music education shouldn't be focused on mastery of a musical instrument. Instead, they should be focused on introducing the child to music as a means of communication — a language comprised of melody, harmony and rhythm. Since music is a language, it is best learned in a social environment. Group classes are often ideal. Starting a child in private lessons, with no other outlet, can actually sabotage a child's potential by introducing music as something it is not (an isolated experience). Instead, music should be introduced as a doorway to a world full of other people -- interacting, sharing and communicating. 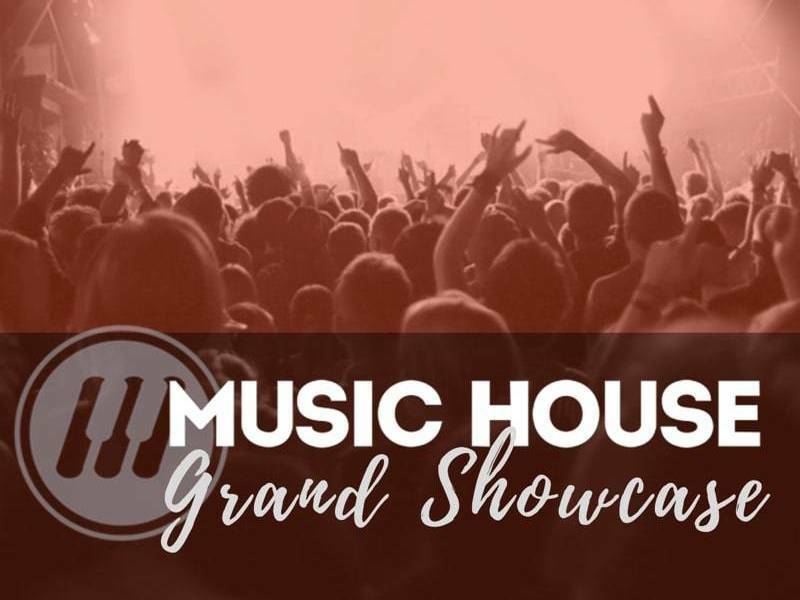 This is the time to start building a foundation that will support a lifetime of musical interest. Don’t be concerned with specific instruments or mastery. The absolute goal at this point should be to develop a positive relationship with music. Lessons should be structured, but not formal. Group settings are best because they establish the communicative properties of music. 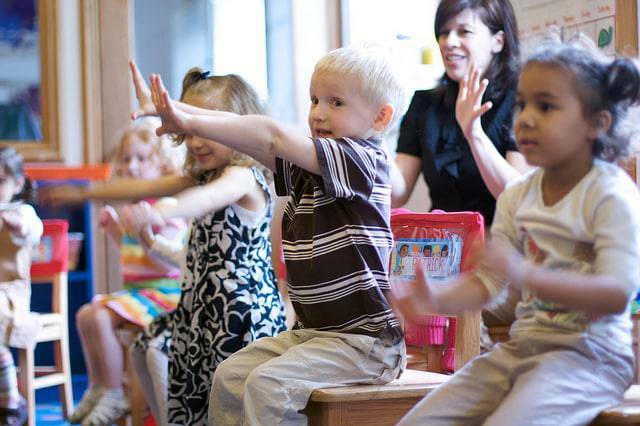 Simple movement activities, singing, and musical games will help develop skills like identifying a beat in music, identifying melody, or identifying instruments. Unlike every instrument besides drums, there is no physical barrier to producing sound. The piano provides a visual representation of music that will be referred to for the rest of the child’s life. This is a huge advantage for understanding music theory later down the road – regardless of the instrument your child adopts. The piano allows musicians to play both the melody and harmony (chords) simultaneously. The instrument truly brings the 3 fundamental ingredients of music together – melody, harmony and rhythm. While that window between ages 6 and 8 is ideal to lay the excellent foundation that piano provides, mastery should not be the goal at this point. Simply focus on deepening the student's relationship with and understanding of music. By age 9, the child will have the physical strength, coordination and body size to try a different, bigger instrument if they choose to do so. Woodwind, brass and stringed instrument (including guitar) require more strength and stamina and consequently, more patience than piano. However, those piano skills will prove to be an enormous advantage, no matter which instrument the child chooses. Around this time, the goal of lessons appropriately transitions from gaining experience with music to improving performance ability. However, maintaining opportunities for performance and collaboration is still essential. A private music lesson should be thought of as a place to gather information to be used outside of the lesson – for listening to, rehearsing with, performing for and communicating with other human beings. 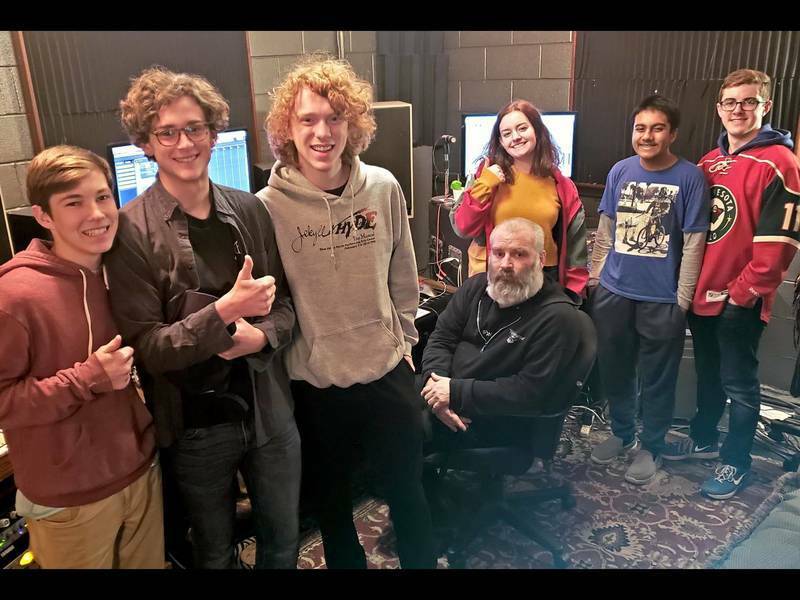 In summary, there are three answers to the question, “What the right age to start music lessons?” Exploratory music classes should be started at about age three or four. These classes should be structured, but absolutely fun. At ages six to eight, you should start laying the foundation of learning an instrument by focusing on piano. Wait until age nine to dig into other instruments. If you've followed these steps, your child will have already developed a deep bond with music coupled with a visual understanding of the foundations of music theory. Keep in mind that these are only guidelines; exceptions will undoubtedly occur. The most important thing is that you take advantage of these precious developmental windows of opportunity that open up between the ages of three and nine. Musical experience at an early age is extremely important in a child’s developmental process. Like riding a bike or learning a language, these skills can be learned later in life, but they will never be “natural” in the way that is so important for fluid musical performance.